The Memorial Field was opened on 7 June 1946 on Radley College’s former golf links. The field was always intended as a permanent memorial to the six men of Kennington who were killed in the Second World War, and their names are recorded on plaques by three entrance gates. Kennington Village and Oxford Preservation Trust came together to raise the £1,000 needed to purchase the field in equal measure, so that it could be “… preserved as an open space in perpetuity”, a place of peace and recreation. In 1947 the Kennington Memorial Field Committee was set up’ to oversee the general management and control of the Memorial Field’, an arrangement which continued until March 2016, when all responsibilities reverted to OPT. We remain in close contact with the village community. The field has been designated as a Local Wildlife Site for its unusually species-rich neutral grassland covered with old ant hills. 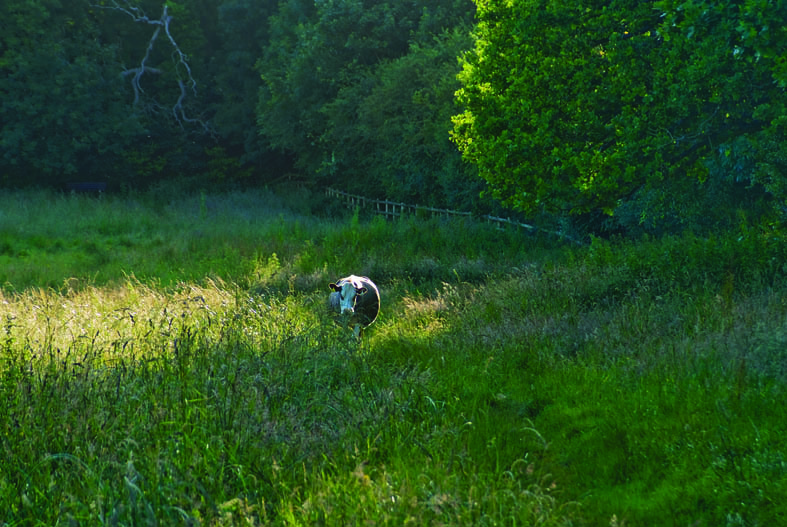 Cattle graze between spring and autumn every year to encourage more wild flowers. By managing the field traditionally by farming activities, a small part of the rural setting of this ancient village is preserved.